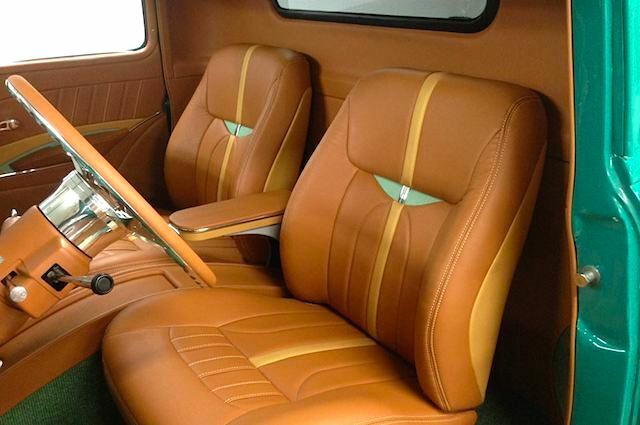 To run a successful auto upholstery shop, you need to be skilled, hard working and passionate. Kaze Williams of Trim Den in Smyrna, Tennessee has those qualities in spades. 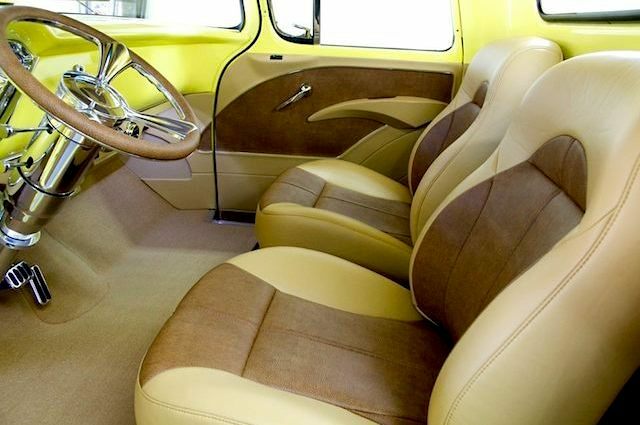 Kaze has been designing and creating award-winning custom hot rod interiors since 2008. However, he’s been working in vehicle cabins for much longer than that. A 25-year veteran of the car audio industry, Kaze knows everything there is to know about wiring a cabin. 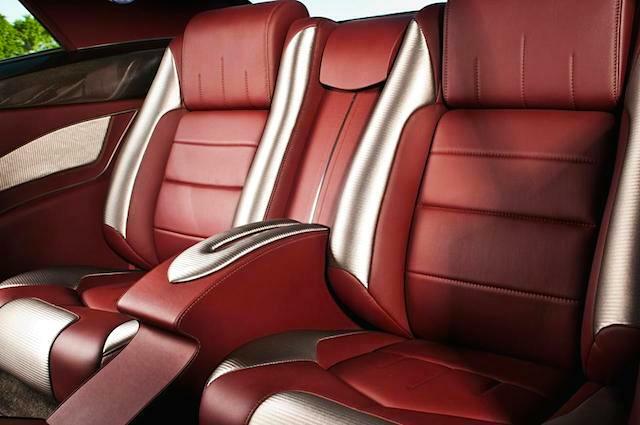 As such, he’s also had to learn his way around interior panels — not just modifying them, but wrapping them too. “While in high school I started dabbling in the 12-volt world fixing things for myself and friends, including stereo systems. As the years passed, I was making more complex trim panels and parts that I couldn’t get anyone to upholster so I had to learn the art of wrapping these parts myself,” Kaze told The Hog Ring. It helped that Kaze wasn’t totally unfamiliar with vehicle interiors. 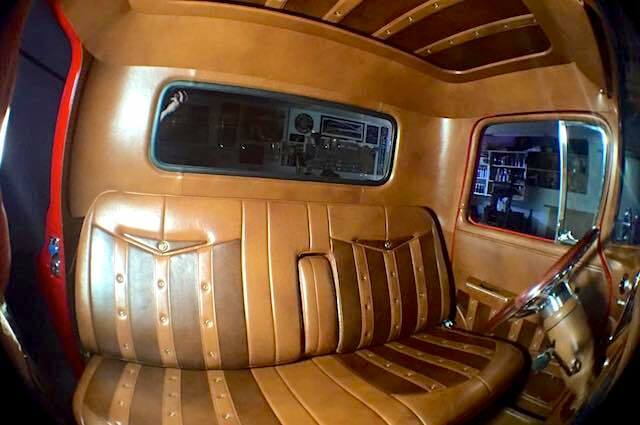 In fact, early in his career he worked for a local auto upholstery shop. 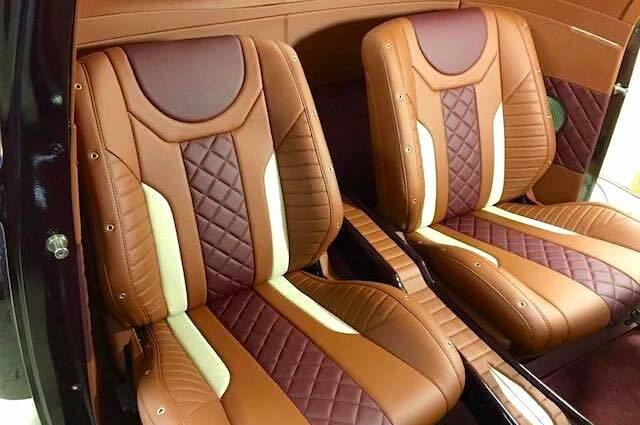 Kaze spent the next several years focused primarily on car audio, but also gained experience in other aspects of the auto industry before finally deciding to transition over to auto upholstery. That first job was in 2000. After learning on his Singer sewing machine for five years, Kaze bought a brand new Consew 206RB-5 and perfected his skills. 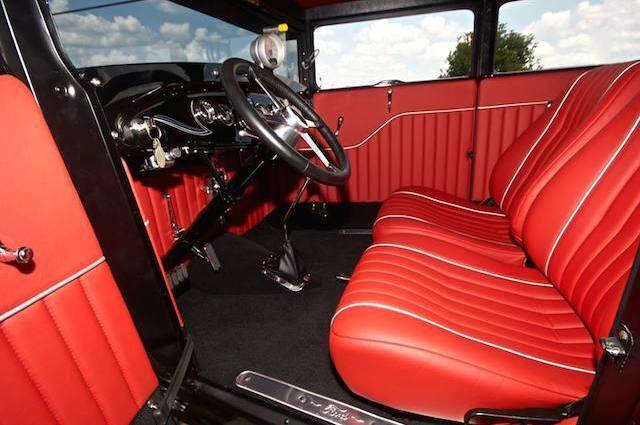 In 2008, he opened Trim Den to focus exclusively on custom hot rod interiors. 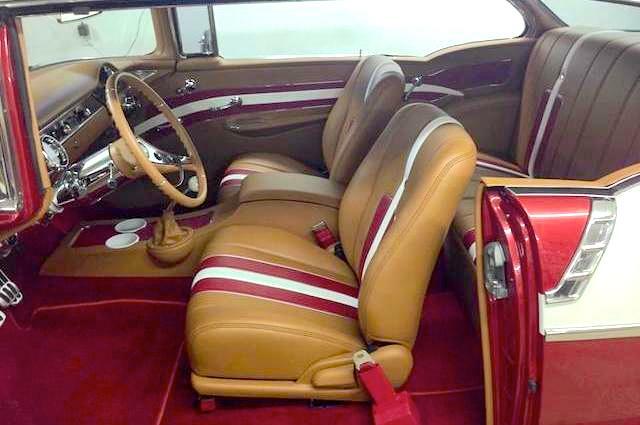 Today, Trim Den is renowned for creating high-end, one-off interiors for some of America’s finest hot rods. 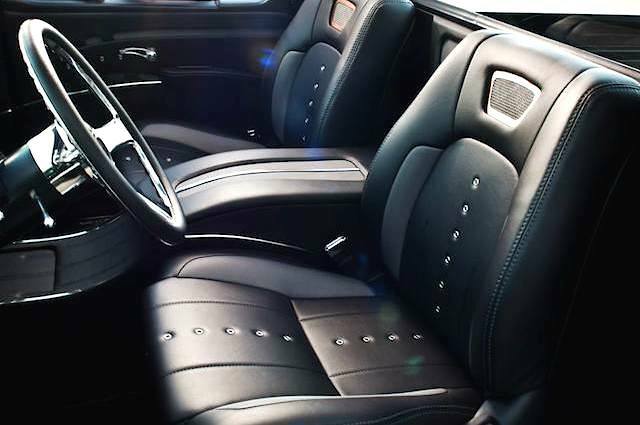 Kaze’s work is famous in Tennessee, where his customers’ vehicles collect “best interior” trophies at car shows across the state. 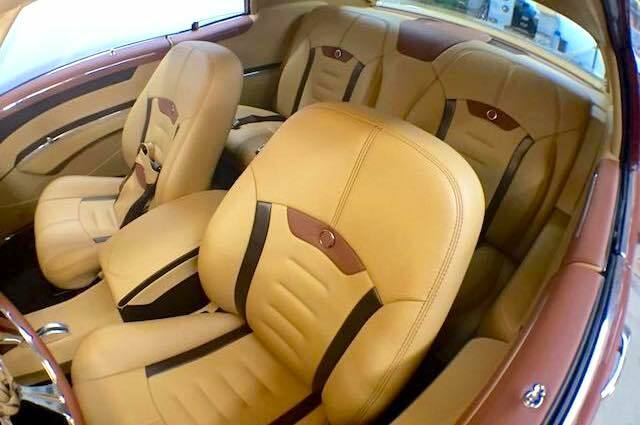 Trim Den has also garnered national attention, with five of its cars having been featured on PowerNationTV. No doubt, it can also be attributed to his passion and drive, which we find most inspiring. To learn more about Trim Den, visit its Facebook page. 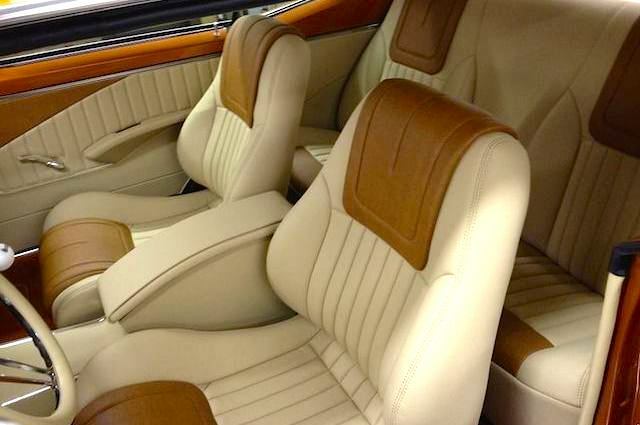 To read about other inspiring auto upholstery shops, check out The Hog Ring’s “Shop Profiles” section. i am one of the satisfied customers and the article is spot on. Kaze is an artist just not painting, but using fabric and his great ideas to create masterpieces. Does any one know if kaze williams is still doing interiors? He is no longer doing interiors. Or anything else for that matter but passing time. Was looking forward to him doing my Chevelle interior. Where is your contact info??????? !